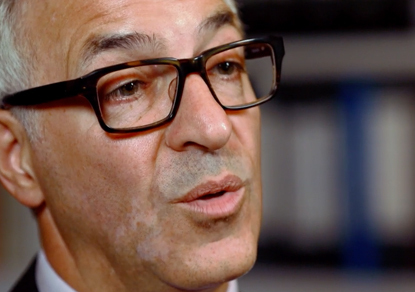 Karim Khalil QC was recently interviewed for the Discovery Channel series 'Faking it' due to his involvement of one of the most notorious criminal cases in recent times: the Soham murders. This programme draws on the expertise of a body language expert, linguistics professor, criminal psychologist and lawyers to examine some of the most famous modern-day UK crime stories to forensically examine them. This episode asks what signals did Ian Huntley betray on TV when he was trying to cover up the murders of Soham schoolgirls Holly Wells and Jessica Chapman? The programme also features insightful commentary from Karim about how, as part of the prosecution case, they forensically examined images from TV reports including interviews that Huntley had given, conducted before the girls were found, to prove Huntley’s car was involved in the crime. In the following clip, Karim discusses his involvement in the case, the prosecution case tactics, Huntley’s state of mind and explains the importance of the images taken from TV interviews Huntley gave in proving his guilt. This clip also features comment from the reporter who interviewed Huntley, body language experts and a criminal psychologist, culminating in the question: is there adequate safeguarding within recruitment practices in the educational sector? What steps have the Police taken to ensure offenders who move from one area to another are flagged up to the local Police forces and the relevant local authority? Karim Khalil QC has appeared in some of the most high profile and serious criminal matters of the last twenty years. He is joint-head of Drystone Chambers, a Crown Court Recorder and accredited Mediator. For more information on Karim's expertise and experience, click here to be directed to his profile.